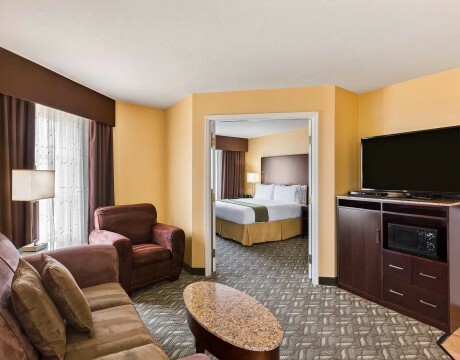 The King Express is a luxurious contemporary room designed with warm decor and sophisticated amenities such as a massage shower head. 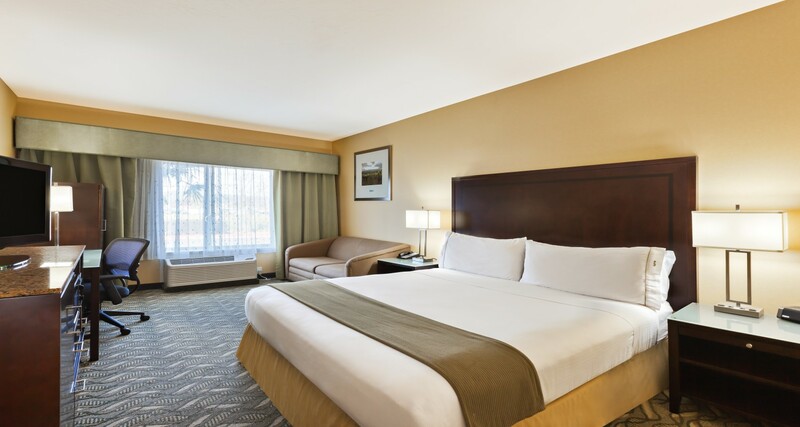 This room comes with a California King size pillow top bed and premium bedding. 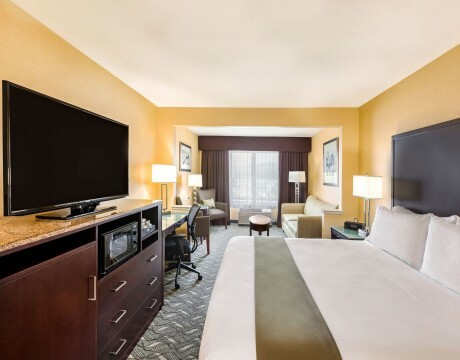 Equipped with wired and wireless hi-speed internet access, 32 inch LED television, premium channels, microwave, and refrigerator. The room comes with a desk and executive work chair and free WIFI. Newly remodeled bathrooms boast Italian tile floors and granite counters along with large plush towels. 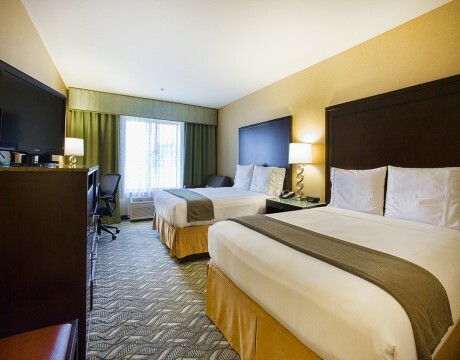 The King Pillow Top Bedroom is perfect for an executive on a business trip.